The upper decks were originally designed using blue metal building blocks. When the overpaint was completed, it became clear that the blue color scheme was too obtrusive and just didn't turn out as we had hoped. 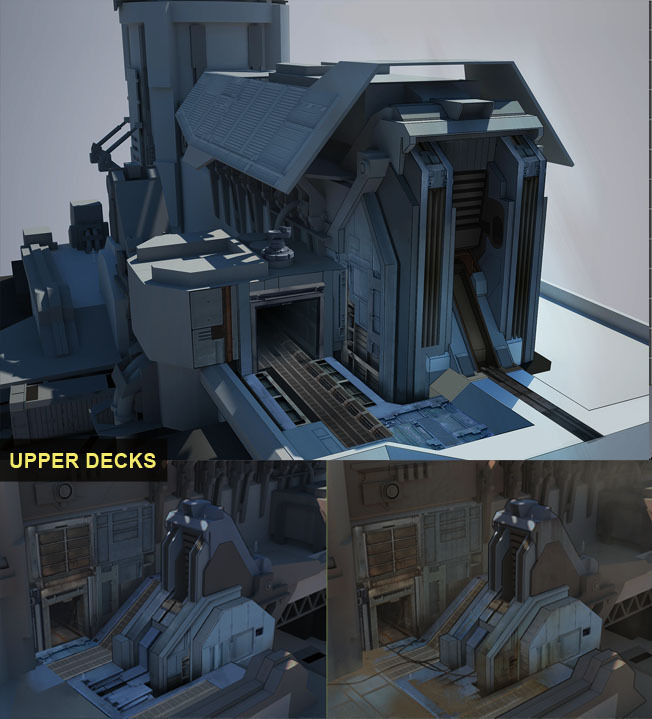 The new concept art of the upper decks has a lot of weathering going on. This makes only part of the upper decks stand out as blue, and makes the rest fade in with the environment. 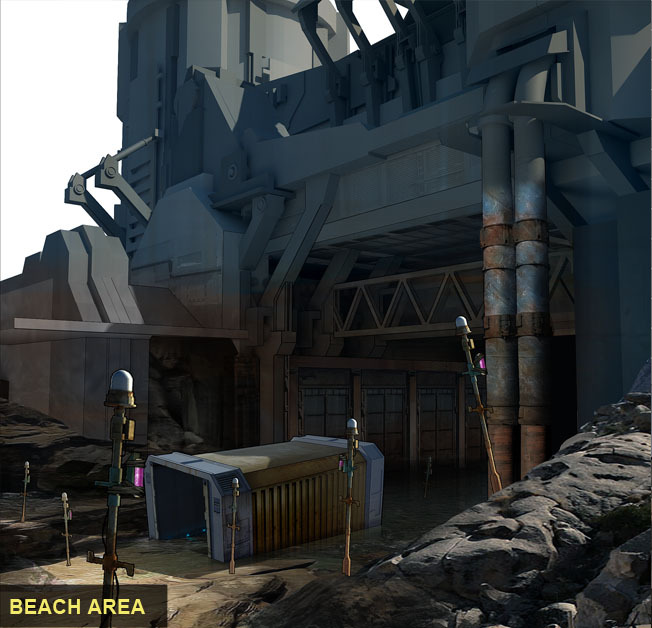 The beach area needs to have the same weathering effects, however this part of the level being near the sea, one would expect to see more rust than on other parts of the level. The container you see being stuck on the shore was designed along with this image. For teams trying to realise a level of this scale with so little means, modularity is a very important aspect. Modularity (pieces being "modular") is not very different from LEGO bricks. For example, these plates can be used and repeated throughout the level, functioning as walls, ceilings or floors. Placed right next to eachother they could form a wall. Scaled to be double their size, they would still fit our "grid" and could be repeated without any gaps occurring.